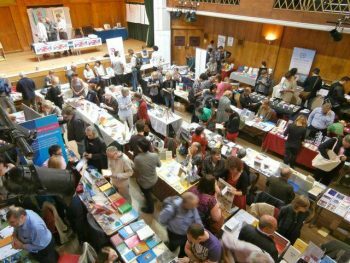 We’ll be at the Free Verse Poetry Book Fair again this year with a stall. Saturday 30th September 2017 at Conway Hall, Red Lion Square in London! Also there will be Hearing Eye poets reading in Red Lion Square garden at 3.30pm: Pauline Sewards, Peter Phillips and Hylda Sims. Pauline’s first collection ‘This is the Band’ coming this autumn, reveals an individual lyric gift worthy of attention. Peter’s fourth publication with Hearing Eye, is ‘Four Poems from Saying it with Flowers’, he “wears his seriousness lightly”. Hylda writes novels, poems, songs and hosts Fourth Friday at the Poetry Cafe. Her Hearing Eye books are ‘Sayling the Babel’ and ‘Reaching Peckham’.